← Welcome New Grad Student, Haley Kodak! Next week is the start of a new semester at Notre Dame. 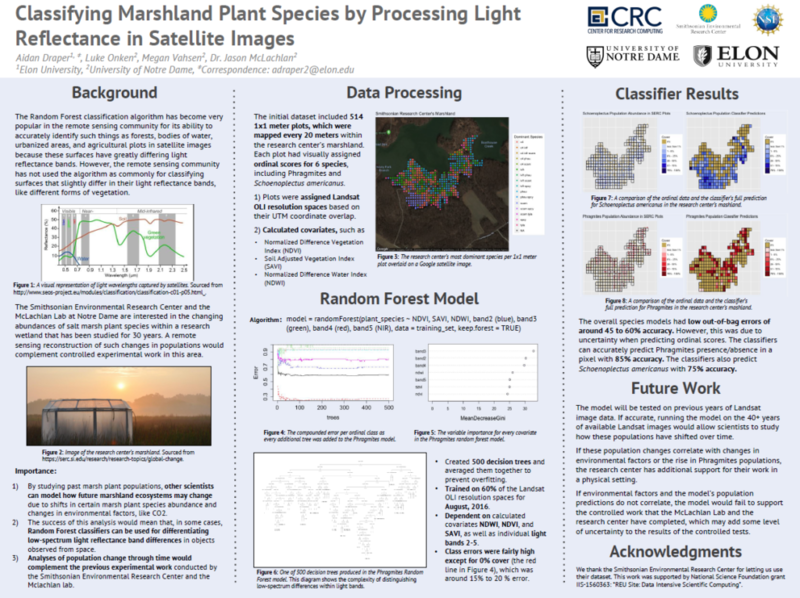 Before we start back up we want to highlight the outstanding work two undergrads did this summer. 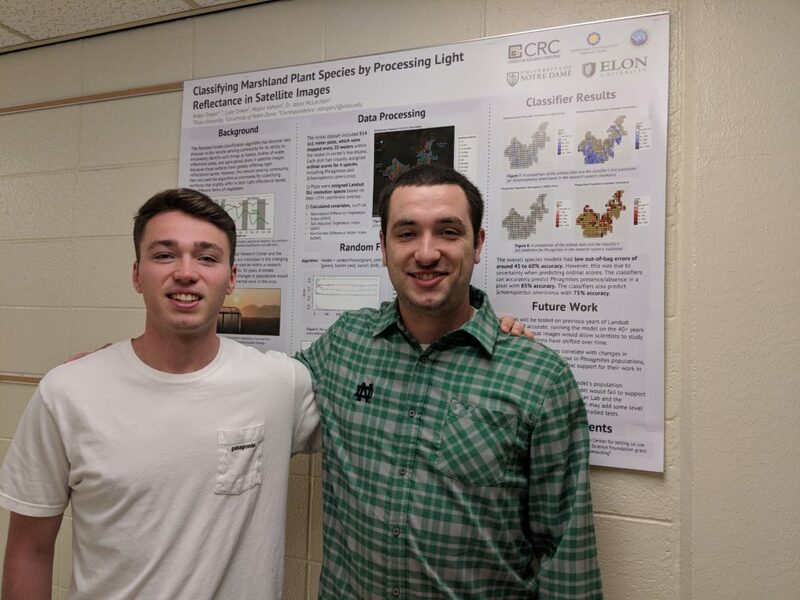 Aidan Draper and Luke Onken conducted research in the McLachlan lab this summer. Aidan is rising senior Computer Science and Statistics student at Elon University and was supported through a DISC-REU Fellowship from Notre Dame. Luke will be junior Biology student at Notre Dame and was supported by an ND College of Science Summer Research Fellowship. 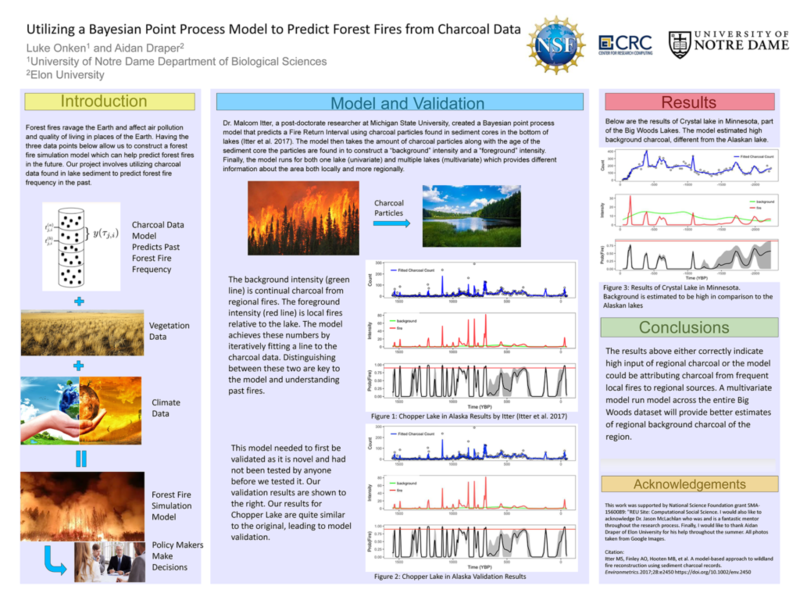 Throughout the summer they worked on a vegetation mapping project for our Marsh project and a fire reconstruction modeling effort for PalEON. More details about each project can be found in the videos and posters below. This entry was posted in Lab Updates, Marsh, PalEON. Bookmark the permalink. McLachlan Lab at AGU 2018! Congratulations to senior Marissa Kivi!